Founded in 2011, our Keith Wetmore 1L Fellowship for Excellence, Diversity, and Inclusion awards fellowships to promising first-year law students who are members of historically under-represented groups in the legal profession. The fellowship is named after chair emeritus Keith Wetmore, in honor of his dedication and commitment to diversity and inclusion, both within the firm and in the legal profession. Each year, fellows are selected from a competitive pool of applicants and are invited to join the firm as paid summer associates. The fellowship program provides training and mentorship opportunities critical to professional development. Upon successful completion of the fellowship, fellows have the option to return as second-year summer associates. Fellows receive a payment of $25,000 (in addition to summer associate pay), which is typically paid in two equal amounts. Installments are awarded at the time that the candidate accepts his or her offer to return as a second-year summer associate, and when the candidate accepts an offer of full-time employment as an associate. The program provides outstanding law students whom have demonstrated academic excellence, leadership, and community involvement with the opportunity to see, experience, and benefit from working with talented colleagues. To date, we have awarded 57 fellowships. Additional information about the program and other 1L opportunities can be found on our recruiting website. 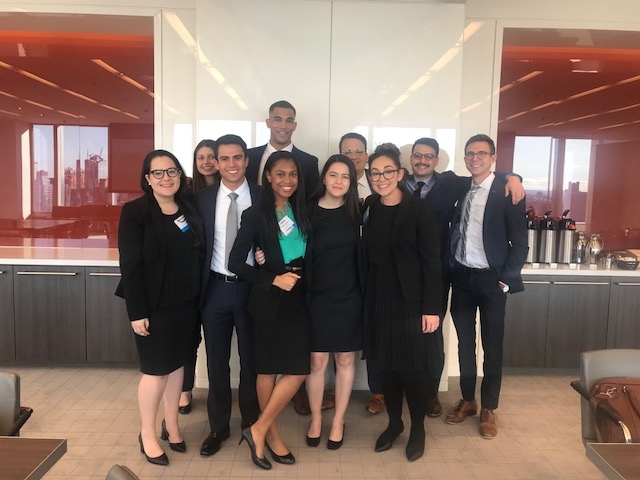 In 2018, 17 diversity fellows joined our Los Angeles, New York, San Diego, San Francisco, and Washington, D.C. offices as part of our Keith Wetmore 1L Fellowship for Excellence, Diversity, and Inclusion program. We recently sat down with MoFo Wetmore fellow, Jamis Barcott, to learn more about his personal journey into the legal profession, as well as his experience here at MoFo as a summer Wetmore fellow. MoFo’s 1L Wetmore Fellowship recognizes and supports the career development of promising law students of color, as well as LGBT law students. Fellows are selected from a highly competitive pool of applicants from the top law schools in the United States. Since 2012, the firm has awarded 57 fellowships. MoFo: Tell me about yourself, where you are from, and what drove you to go to law school? JB: I grew up on the Tulalip Indian reservation. I decided I wanted to go to law school from a very young age. On the reservation there weren’t too many professionals, and wanted to be like the lawyers with the nice cars (jokes Mr. Barcott) who I would see off the reservation driving around out in the community. In terms of college, I decided to go to UCLA because I heard they had a very strong Indian program. On the reservation it’s a small community of people similar to a small town and there’s more of an emphasis on cultural values. Instead of studying math, for example, the elders would tell stories about myths and legends, and it provided a different perspective. It gave me much more of a community-driven perspective. I was taught from a young age that community comes first and your own personal success is limited by how you affect others. I decided I wanted to go into the legal profession because I wanted to be in a position to give back the skills I had learned as a student. MoFo: What attracted you to MoFo and the Wetmore Fellowship? JB: Firstly, MoFo is one of the first firms that comes up when you search for 1L diversity fellowships online, and I also noticed on MoFo’s website there were several booklets and web pieces (with information about the firm’s diversity programs and initiatives) and it meant a lot to see that the firm is very committed to diversity. I had the opportunity to meet with MoFo Class Actions partner and Diversity Strategy Committee (DSC) co-chair Purvi Patel and other leaders in the firm, and I felt like they weren’t just paying me lip service about the firm’s programs. They made me feel valued. MoFo: Tell me about the Diversity Summit you recently attended? JB: My favorite part of the Diversity Summit was getting to meet other diverse lawyers from across the firm. It’s nice to meet cross-office associates, and fellow diverse associates who work abroad. It was great to hear their unique perspectives and experiences, and it’s gratifying to be able to have a broader community that expands past the four walls of the office you work in every day. MoFo: How did you first hear about the Indian Law Resource Center (ILRC) charity? JB: I first heard about the ILRC charity at UCLA. I heard about the issues it takes on, such as violence against indigenous women, through my professors at UCLA. I learned that the incidences of child abuse, and women’s abuse in tribal lands was just horrible. The issue led me to the organization. My understanding is the charity played a big role in getting the Violence Against Women Reauthorization Act of 2013 passed and signed into law. The law is designed to protect Native American women from domestic violence and keep people accountable for their actions. MoFo: Why is this charity important to you? JB: These issues are near and dear to my heart, because they reflect some of my own personal experiences that I had in my community, and I wanted to do something about them. MoFo: Are you involved in any other initiatives? Do you have plans for future advocacy or pro bono work? JB: Yes, I would definitely be interested in Indian law advocacy and that was what attracted me to MoFo—its pro bono work in this area. MoFo: What was most impactful about the Summit? JB: I really enjoyed liaising with other diverse associates from across MoFo’s global network, and there were also some diverse clients at the event and it was great to be able to have that interaction with them. Since 2008, we have sponsored a group of pre-law interns through the Sponsors for Educational Opportunity (SEO) program. SEO provides educational and career programs to students from underserved and underrepresented communities to ensure their professional success. The pre-law interns who join us as SEO fellows are included in our summer associate program. To date, 40 students have participated in the program over the years, and four have completed the full pipeline and joined us as full-time associates.